Nothing makes me want to blog more than good news. And frankly, I’ve hit the jackpot with good news lately. First off, I am extraordinary happy to be done with my teaching responsibilities, final projects for my classes, and finals in general. Less time for studying equates to more time for lab work! Secondly, I’m am happy to report that our collaborative work with the Fenteany group has been accepted to Organic Letters pending minor revisions (I’ll be giving a hint of what the article is about at the end of this post). Needless to say, getting another publication in one of the best organic journals out there made my day. Next, we just finished a flow project which, in theory, should also be submitted by the end of the week (likely to the same journal). DiAndra’s project, which I have spent an increasing amount of time on lately, has continued to give us excellent results and my estimate is that it will be done (and submitted) by the middle of January. I’ve made some progress with a few avenues I’ve been exploring as well (though due to the amount of work I’ve had, progress is slow to say the least). As part of the requirements at UConn, students are required to take a graduate seminar course in which speakers from other institutions are brought in to present on their work. This past week was a somewhat special occasion as the speaker was Dr. Brian Stoltz from Cal-Tech and he gave one of the best talks I’ve heard in some time. His talk detailed a recently methodology developed in his lab for the synthesis of enantioselective decarboxylative alkylation reactions of cyclohexyl rings. 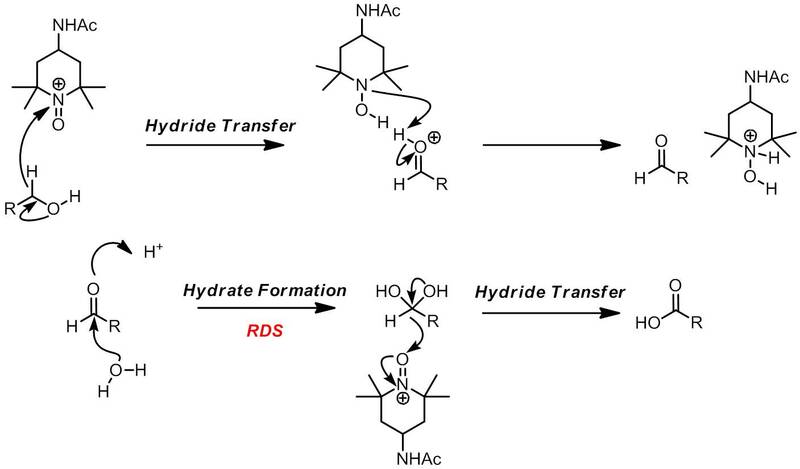 The transformation relies on the principle of stereoablation: the reaction destroys a stereocenter as part of the reaction mechanism and, in the ensuing chiral transformation, a highly enantio-enriched product is obtained. In the reaction discussed by Stoltz, which was modified Tsuji–Trost allylation, a methyl-substituted cyclohexyl beta-keto ester (the ester being an allyl ester) would be decarboxylated in a Trost-like manner yielding an enolate. Since enolate formation is independent of the stereochemistry of the starting material, a enatioselective recombination of the freed allyl group with the enolate is possible. In the presence of the proper ligand, high e.e.s for one enantiomer can be obtained from a completely racemic starting material. After his seminar, we had time to talk with him in person and I showed him a bit of the work we have been doing in the Leadbeater Lab. He seemed to like it and over all he was a very interesting and down to earth person to talk to. 1. A Suzuki cross coupling with 1-iodo-2,2,2-trifluoroethane to effect 2,2,2-trifluoroethylation of arenes in Ang. Chem. 2.Using a relatively under explored element, bismuth, for very unusual transformation (under the framework of “Carbobismuthination“) involving alkynes and silyl enol ethers. This paper was also in Ang. Chem..
3. Using lithium trimethoxy(trifluorovinyl)borate for the preparation of trifluorostyrene derivatives via a Suzuki cross coupling with arenes.This paper was also in Ang. Chem..
4. Converting Acids to Amides in one shot using trimethylaluminum in Org. Lett. 5. A SeO2/BF3 based method for the synthesis of triarylethanones from aromatic ketones and arenes in J. Org. Chem. All of these articles are excellent and if you get a chance, certainly check them out! As for this week though, we have a home town pick, an article published by Dr. James Bobbitt (a emeritus professor here at UConn) and Dr. William Bailey. Dr. Bailey’s primary interest is in organolithiums, however in recent years he has worked quite closely with Dr. Bobbitt on studying oxoammonium salts for the oxidations of various species. Specifically, the oxoammonium salt of study by Bailey and Bobbitt is 4-acetamido-2,2,6,6-tetramethylpiperidine-1-oxoammonium tetrafluoroborate, affectionately dubbed “Bobbitt’s Salt” due to the vast amount of work done by Dr. Bobbitt involving this salt. I cannot more highly recommend it as a oxidant of choice. It will selectively take primary alcohols to aldehydes with a extraordinarily simple workup (filter through a plug of silica). Moreover, oxidations are colorimetric; the reaction mixture will start off yellow and, when complete, turn milky white. While currently a UConn specialty, many members of the department have been spreading the word about the salt (especially since it’s very easy to prepare!). However, until now, oxidations with Bobbitt’s salt were somewhat limited in that they could only effectively be used to make aldehydes. In this new article, Bailey and Bobbitt detail a method for using the oxoammonium salt for the preparation of carboxylic acids. The article begins by details the general use, advantage, and some previously established trends in reactivity. Early on they essentially revise and expand up some trends observed in their previous articles. Based on relative rate studies and computation work (done in collaboration with Dr. Kenneth Wiberg at Yale), Bobbitt and Bailey suggest that the mechanism is involves a formal hydride transfer from the carbinol to the oxoammonium salt. They found that the rate of oxidation is proportional the ability of substrates to accomidate positive charge at the carbinol carbon. With these tenets in mind, we can easily understand why oxidization of benzyl carbinols proceed quite fast (especially with electron rich arenes). After this brief digression, the authors begin to describe their new methodology, namely the oxidation of primary alcohols to carboxylic acids. The conditions are relatively simple: 2-2.2 equiv of Bobbitt’s salt and the alcohol to be oxidized in a MeCN:H20 (9:1) solvent system. As with the oxidation of alcohols in DCM to aldehydes, this reaction is also colorimetric (doing from a orange-brown to a yellow-orange. The authors argue that the rate determining step is hydration of the intermediate aldehyde. This is in line with previous work (and a previous post by myself) using TPAP. 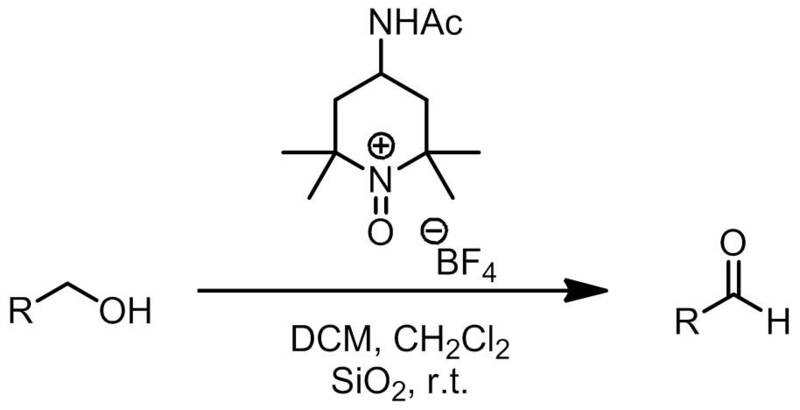 They further support this finding by conducting a relative rate study, finding that electron-deficient arenes (p-nitro) react many times fast than electron-rich arenes (p-methoxy). Hydrate formation is typically a function of the electrophilicity of the carbonyl carbon of the aldehyde, hence this finding makes sense. Bobbitt and Bailey then exploit this by working with a mixed aliphatic/benzyl diol system. They first show that the benzyl alcohol can be selectively oxidized over the aliphatic alcohol using the classic DCM conditions to the corresponding aldehyde. They then oxidize the aliphatic alcohol to the aldehyde. Treatment under their new conditions affords sole oxidation of the aliphatic aldehyde to the corresponding acid, thus proving the selective nature of their oxidant. This was excellent work done by Bailey and Bobbitt, though I cannot say I’m not a little biased :P. I recently needed to oxidize a propargylic alcohol to the corresponding acid and I am happy to report that, using the conditions developed by the authors, I was able to obtain it in excellent yield. Overall this is a very practical and useful paper! We were able to take diones to the ene-triketones all in one pot! As soon as it’s out I will share the rest of the story! Fa-fa-fantastic post! Thank you. Can’t wait to try this on a stubborn alcohol of my own. Great post! 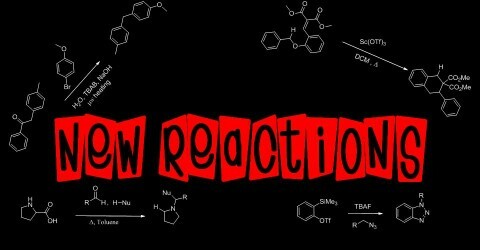 I like the mechanism challenge by DrFreddy… I’m wondering what your thoughts on the possible role of the amide in the reaction. Does it have an affect in decreasing the acidity of the reaction conditions? I might be going crazy but there might be some tiny mistakes in your third and fifth scheme. Other than the solvents (DCM, CH2Cl2) the authors don’t use SiO2 for the chemoselective conversion of the benzylic alcohol to the aldehyde but they do need it to convert the sluggish aliphatic alcohol to the aldehyde. That’s pretty interesting. Does anyone have any references or comments on the acidity affects of TEMPO-type oxidations? As for the silica gel, you are in fact right, that’s a very subtle detail so nice spot! I’m not sure why they didn’t do it for the chemoselective (my guess would be that they needed the salt to be less reactive). When I actually do these oxidation reactions, I toss in SiO2 into the reaction mixture (in usually a 1:1 w./w. ratio to the starting materials so it was out of habit that I do that. Dr. Bobbitt himself did this because a while back he read an article in which another group found that a acidic environment provided by the silica leads to a rate enhancement. As for tempo-type oxidations, I’ll ask Bobbitt at some point for that reference, other than that I haven’t seen all that much. Thanks for your remarks. Maybe, we could have a direct correspondence. My e-mail is james.bobbitt@uconn.edu. I have some other idea about a mechanism. Sweet, you posted my undergraduate work on your blog. Bailey and Bobbitt couldn’t mention in the paper that the oxammonium salt is quite possibly one of the most fun reagents to work with, especially when working with the diol. I actually tried to perform the second oxidation (to get the dialdehyde) without using silica get, but it was ridiculously slow (took about twice as long). As for Brian going over to UConn, did he mention the enantioselective allylation of lactams or no? The reason I ask is because I’m working on an extension of that methodology to 2,5-diketopiperazines. Yes in fact he did towards the end, he didn’t go into as much detail about them but after he went through the whole cyclohexadione story, he did bring it up as other applications of the method. As I recall, I believe the enantioselectivity in lactams was pretty good so I would imagine the systems you are working on would be giving you some promising results. How do you like Cal-Tech and working for Brian? Sorry for taking so long to reply. Working for Brian was awesome, but due to financial issues in the lab, I had to switch labs, so currently I’m working for Sarah Reisman. You should check out a few papers from the Reisman lab too. The acetylaranotin synthesis is a particularly cool one to check out. Salvileucalin B is also a great one, as is Maoecrystal Z.
Proline: Not Your Typical Amino Acid? What the Heck is an AZADO?